​Interested in our program for your school or community organization? Click here for more info! The 2018-2019 school year is here! Which means it is grow time!! 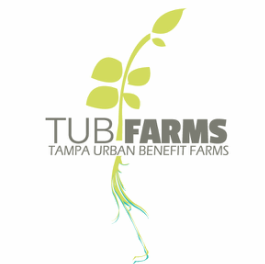 We are excited to launch a full scale TUB Farm at Mabry Elementary, expand and explore new concepts with the Hillel TUB Farm, assist in planning the WM Green Apple Day of Service at the USF preschool and so much more on the horizon! Stay tuned as we dive deeper into beneficial insects, specialized nutrients, microbes, edible flowers, design, senosory gardens and more this year! check out our facebook page for more up-to-date pictures!